The Armoured Cavalry Arm (ABC: French: arme blindée cavalerie) was created in 1942 in the context of the reorganisation of the French army in North Africa, on the order of army general Henri Giraud, commander-in-chief of the land and air forces in Algeria. It is an arm of the land army with motorised and armoured troops, combining tank and cavalry units, and has taken over the missions carried out by the cavalry and the special artillery that had been created in 1916. Missions are adapted to a modern context: lighting and reconnaissance, disruption using the charge tactic, operation by the deployment of rapid armoured units on all terrains, covering a flank or a retreat. The armoured cavalry arm incorporates the strong traditions of the cavalry and horse artillery. General Delaunay describes the spirit that has been behind the ABC ever since it was established thus: "The spirit of a cavalryman, with some taste for panache, conduct and tradition, and a great propensity for forward manoeuvring and self-sacrifice in a crisis. 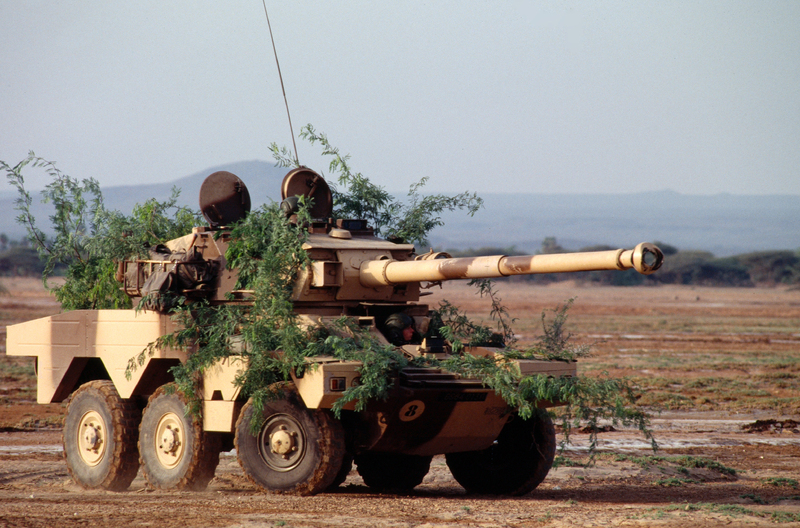 The spirit of the tank, with devotion to the equipment, technical competence and commitment to foot soldiers." General Delaunay, Chief of Staff of the French Army from 1980 to 1983, in Revue historique des armées (Historical review of armies), special issue 2/1984.